How prepared are you for the election? You cannot be 100 per cent prepared, but we are definitely prepared. You can see there are lots of activities going on; we are very busy and everybody is occupied. We’re not afraid. We know what we have to do before the day of election and we believe once those things are done properly, victory will be ours definitely. People say it would be difficult for you to win the election as Lagos is seen as a stronghold of the APC. Do you think you have a chance? They have been in office for about 16 years, so, to that extent, we never thought it would be a tea party. We are very clear that it is going to be a tough race but we believe that at the end of the day, we’re going to win. We have looked at what is happening and got the opinions of people and we are clear that people are more on our side than on their side. All things being equal, if we have a free and fair election, we will lead them. Kate Henshaw is not just a popular face in Nigerian movie industry, where she is rated as an A-list actress. Beyond acting, the 43-year-old has also found her way into politics. She may not have been flaunting her wealth, but that doesn’t mean she doesn’t enjoy her earnings. Sometime ago, Henshaw bought herself a big Nissan Armada. The car costs about N7m in the auto market. For anyone looking for a workhorse that can take the whole family to the mountainside, the eight-passenger Nissan Armada is more than adequate. Overall, the 2014 Nissan Armada has good handling and continues to get the job done for shoppers in need of a large capacity SUV as it remains a very capable vehicle for off-road venture or towing. A Colombian woman recently changed her name to include all 26 letters in alphabetical order. Her first name is Abcdefg Hijklmn while her last name is Opqrst Uvwxyz. Before the latest change in nomenclature, the 36-year-old was called ‘Ladyzunga Cyborg’, a name she came up with along the line. She is notorious for the act but her latest stunt is believed to be extremely bizarre. The Colombian in a recent television interview said: “I started looking for a name that nobody had in Colombia, or the world, so I thought about ABCDEFG HIJKLMN OPQRST UVWXYZ. The Federal Government of Nigeria on Friday further compounded fears in some quarters that the Chairman of the Independent National Electoral Commission, Prof. Attahiru Jega, could be sacked before the general elections. In an answer to enquiries on government’s stand on allegation that the INEC boss would soon be asked to proceed on a terminal leave, the Federal Government through the Minister of Culture, Tourism and National Orientation, Chief Edem Duke, gave a rather ambiguous answer. He said the exit of Jega from the chairmanship of the INEC would take a natural course. Duke, who is also the supervising Mtinister of Information, spoke with journalists at the headquarters of the Ministry of Information in Abuja on Friday. While answering a question on whether the Federal Government planned to send Jaga on terminal leave before the expiration of his tenure in June, Duke said Jega would not be sacked as President Goodluck Jonathan had pledged, but added that his exit from the electoral body would be a natural sequence. President Goodluck Jonathan/Namadi Sambo Presidential Campaign Organisation of the Peoples Democratic Party has alleged that All Progressive Congress Chief Scribe, Asiwaju Bola Tinubu, is plotting to become the President of Nigeria through the back door. It said the plot by the former governor, who is a former governor of Lagos state, was to take over as President of the Federal Republic of Nigeria in the event that Gen. Muhammadu Buhari (retd.) wins the March 28, 2015 presidential election. Director of Media and Publicity of the PDP-PCO, Chief Femi Fani-Kayode, made this allegation at a news conference in Abuja on Friday. In recent times, there has been a well-organized and massively funded campaign by some out-of-favour politicians in Anambra State to poison the cordial relationship between Chief Willie Obiano and President Goodluck Jonathan. This campaign has been simmering for quite some time, showing itself in different ways. Can Delta State Be the Dubai of Nigeria? The greatest gift of a nation is not what lies underneath its soil, but the talent and creativity of its people. One state that has a large number of talented and creative people is Delta State; with the right leadership, the state will become the cynosure of Nigeria. For the 16 years of People Democratic Party (PDP) rule in the state, the state has become an economic wasteland. 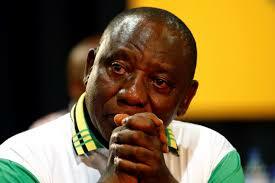 We have witnessed blundering of our collective wealth, laundering of money and unchecked corruption on an epic scale. Truth is this pathetic narrative is not exclusive to Delta State, it resonates throughout the entire landscape of Nigeria. In the 2015 election, providence offers us an opportunity to take our collective destiny into our hands and salvage what is left of our broken and battered state. The APC offers us a clean break in the arduous task of redeeming our nation. In most of the AP- led states, we see a sense of development non-existent in their counterpart, the PDP. The governor of Anambra State, Chief Willie Obiano has commissioned an ultra-modern clinic and a corporate office for Donor Agencies, working in Anambra State. Inaugurating the two facilities located in the premises of the Government House in Awka, Wednesday, Governor Obiano expressed satisfaction with the construction of the clinic and assured that the state would build more of such facilities to ensure a robust intervention in the healthcare sector. The governor of Anambra State, Chief Willie Obiano has continued to show his friendly disposition to Anambra workers as he presented two new air-conditioned 50-seater buses to the State chapter of the Nigeria Labour Congress (NLC). The presentation is coming on the heels of an earlier presentation of commuter buses to convey civil servants to and from work, improving the conditions of the workers, provision of bags of rice and increasing workers’ salaries by 15 percent in January this year. The former Governor of Anambra State and the Deputy Director General of the Jonathan's Presidential Campaign Organisation, Mr. Peter Obi has called for massive votes for President Goodluck Jonathan, saying that a vote for him is a vote for the future of the country. He was speaking yesterday at the Premier Hotel, Ibadan, during the Post National Conference Summit, 2015 Election and the Yoruba Nation. Leading online marketplace www.kaymu.com.ng has highlighted quality content as key to leveraging social media contacts for business purposes. 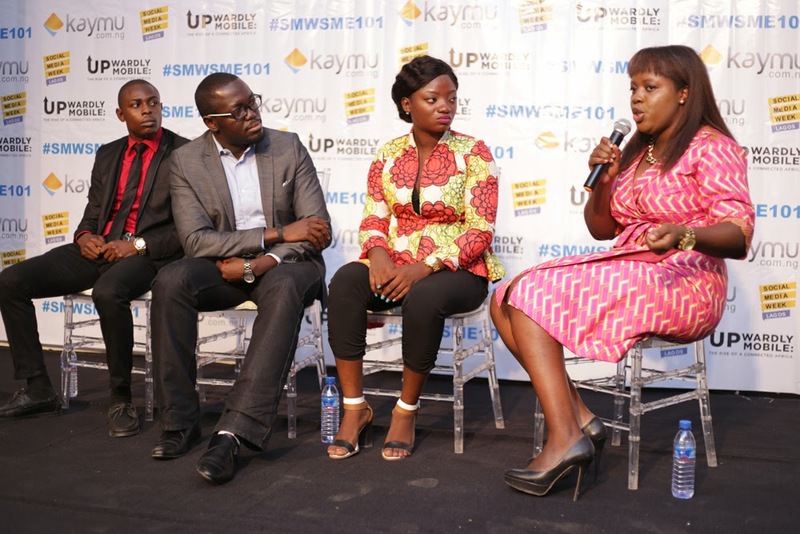 Speaking at Kaymu’s featured event at the SMW Lagos held yesterday, 25th February at Terra Kulture, Managing Director of Kaymu, Evangeline stated, “If you provide valuable content to your community they will pay for you to keep providing it”. The panel session tagged SME 101: Converting social media to cash, featured seasoned experts in the field of social media namely; social media marketer Tosin Ajibade of Olorisupergal, Olusola Adewunmi, CEO Contagious 128 in the company of Kaymu MD Evangeline Wiles and Abiola Fabio, Kaymu’s Community Manager. 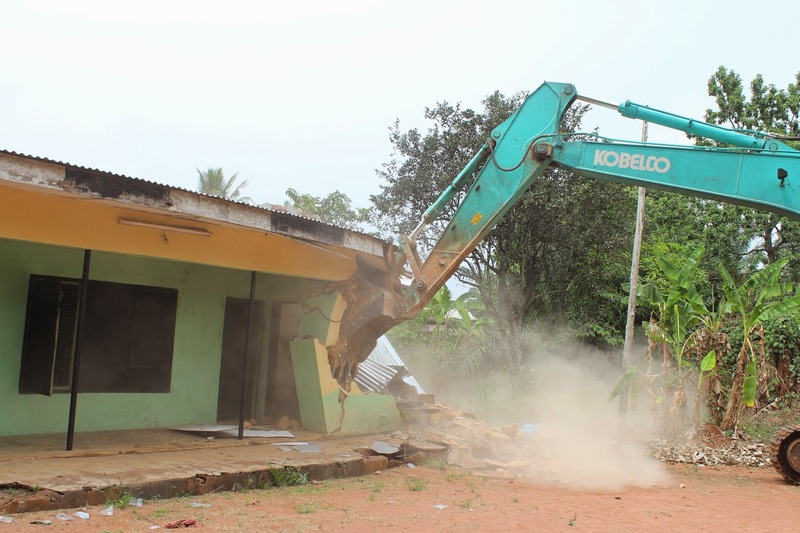 Effective enforcement of the Demolition Law by the Governor of Anambra State, Chief Willie Obiano has stemmed incidents of kidnapping in the state. This assessment was made by Assistant Commissioner of Police, Joseph Agugoesi, on February 26, 2015 when he led a detachment of Police and the Special Anti-Robbery Squad (SARS) operatives to execute the demolition of two bungalows used as kidnap den in Azigbo, Nnewi South Local Government Area. 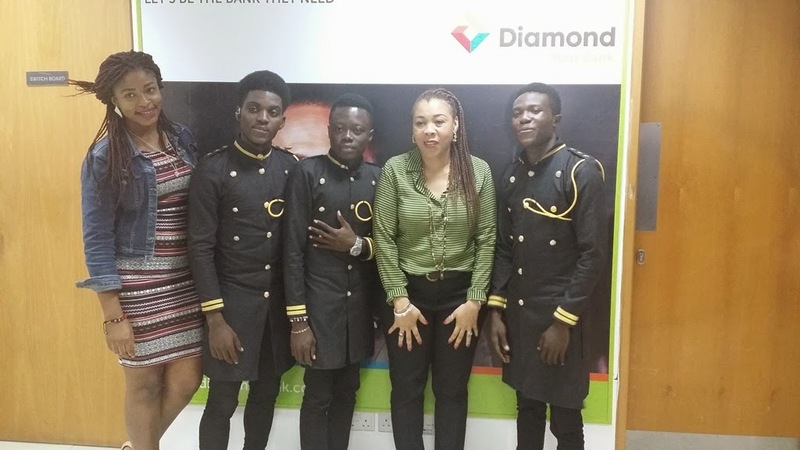 Solitude, winner of the just concluded Diamond Bank #youneedanewbank theme song remix competition has signed a record deal with Major Bangz, producer of the hit tracks “Alobam” and “Shoki,” as part of his reward for winning the competition. #youneedanewbank is a brand campaign by leading retail bank, Diamond Bank PLC, aimed at promoting the bank as the new model for customer-focused banking in Nigeria. The competition which was in two phases – a dance and remix competition – required contestants to send in video entries of original dance or song remix of the TVC campaign while the public voted for their favourite videos. Entries with the highest number of votes emerged winners and their owners were rewarded with a cash prize of N250,000 for the dance competition and N1.5 million naira and a record deal with Major Bangz in the remix category. Four runners-up were rewarded with cash prizes of N150,000 each. The All Progressives Congress (APC) presidential candidate Muhammadu Buhari said on Thursday in London that he was certified fit by his doctors to run for the office of the president. Buhari was speaking at the Royal Institute of International Affairs, Chatham House in London, United Kingdom. "I am fit. My doctors have declared me fit. 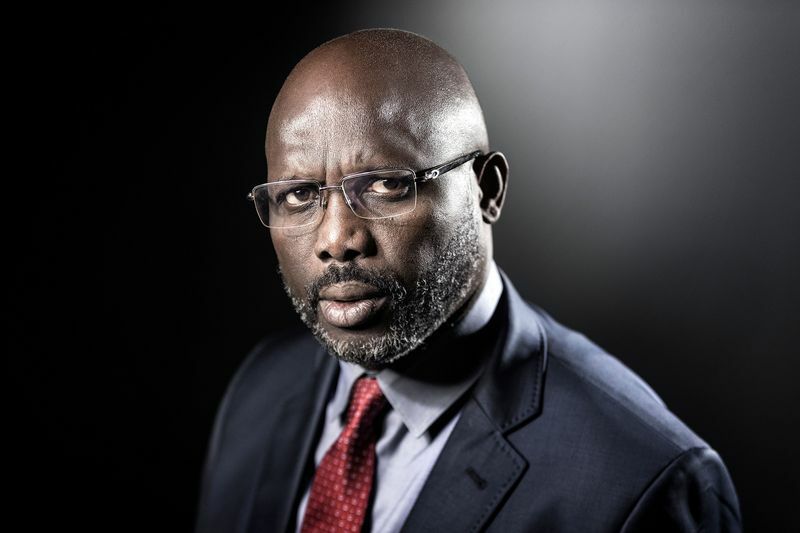 I am going back home for the final phase of the campaign to win the elections," he said. Buhari said he often laughed whenever he hears stories that he was either bedridden or dead. "I just laughed when I hear some people wishing me dead or saying I was dead," he said. On poll shift, Buhari said "we are grateful to the international community for openly insisting on free and fair elections." The speech of Muhammadu Buhari, presidential candidate of the All Progressives Congress (APC), at the Royal Institute of International Affairs (Chatham House) on Thursday was preceded by demonstrations from two sets of people – one in support of his presidential ambition, the other against it. Those opposed to Buhari, comprising mainly young men, carried placards which read: “Buhari belongs to the past”, “The past can’t belong to our children today”, “A dictator hiding behind a pastor cannot be a democrat”. They all wore branded shirts with the inscription, “DIASPORA SAY NO TO TYRANTS”. Nigeria First Lady, Dame Patience Jonathan, has charged women in the country to vote for the Peoples Democratic Party, PDP, stressing that any woman who votes for All Progressives Congress, APC, is an enemy of herself. Dame Jonathan, at Orerokpe, Okpe Local Government Area of Delta State, at the PDP Women for Change Initiative Presidential Rally in the state, while applauding the benevolence of the PDP administration to women in the country, cited the Youth Enterprise With Innovation in Nigeria, YouWin and Subsidy Reinvestment and Empowerment Programme, SUREP, as some of the empowerment programmes the President Jonathan administration was using to empower women and youths in the country. President Jonathan today visited in Mubi, Adamawa State and Baga, Borno State where he met with the troops who are fighting Boko Haram. He applauded the troops for recapturing territories formerly held by insurgents. He said that he and all Nigerians were very proud of the bravery, competence and patriotism with which they were now undertaking operations to expel the insurgents from all parts of Borno, Yobe and Adamawa state. She's a big fan of Disney's Frozen, and loves playing with her dolls. But Esther Okade is also a university undergraduate after starting a degree at the age of ten. Esther, one of the UK's youngest university students, is studying for a maths degree with the Open University. She enrolled three weeks ago and is already top of the class, scoring 100 per cent on a recent test. Esther, from Walsall, in the West Midlands, isn't the only member of her family with a talent for numbers - her six-year-old brother Isaiah is already taking an A-level in maths. Her mother, Efe, said applying to the university was "an interesting process because of her age." She said: "We even had to talk to the Vice Chancellor. "After they interviewed her they realised that this has been her idea from the beginning. "From the age of seven Esther has wanted to go to university. "But I was afraid it was too soon. "She would say, 'Mum, when am I starting? ', and go on and on and on. The Royal Institute of International Affairs, better known as Chattam House, has confirmed that presidential candidate of the All Progressives Congress, Maj. Gen Muhammadu Buhari(retd. ), will be speaking at its event billed for Thursday in London. This was contained in a statement on Monday by the Directorate of Media and Publicity, APC Presidential Campaign Organisation, Garba Shehu. A post on the website of Chattam House on Monday stated that Buhari, who is on a working visit to the United Kingdom, would speak on the topic ‘Prospects for Democratic Consolidation in Africa: Nigeria’s Transition’. Former Governor of Anambra State, Chinwoke Mbadinuju, on Monday in Abuja defected from the Peoples Democratic Party to the All Progressives Congress. The former governor, who could not hide his anger at the alleged shoddy treatment he and his supporters were subjected to by the PDP, said he was confident that Nigeria would fare better under an APC administration with Maj. Gen. Muhammadu Buhari(retd.) at the helm of affairs. At a press conference to announce his defection in Abuja, the former said the Boko Haram menace was part of God’s judgment on Nigeria for embracing injustice instead of promoting justice and fairness.